Great holiday savings at colorfxweb.com. 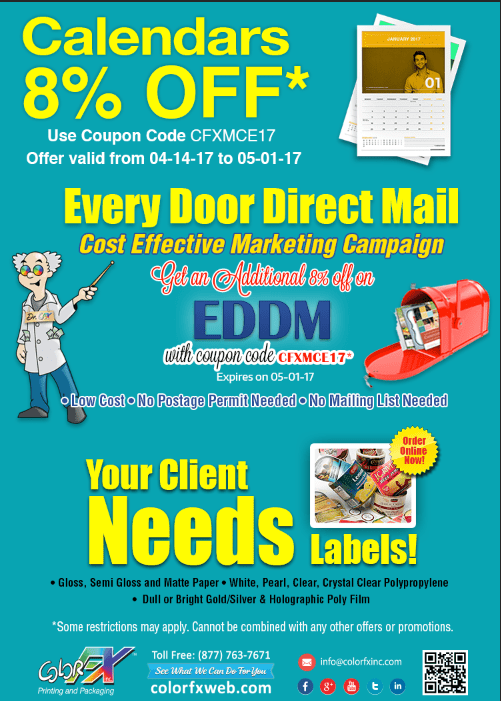 Save 10% off on postcards & brochures. 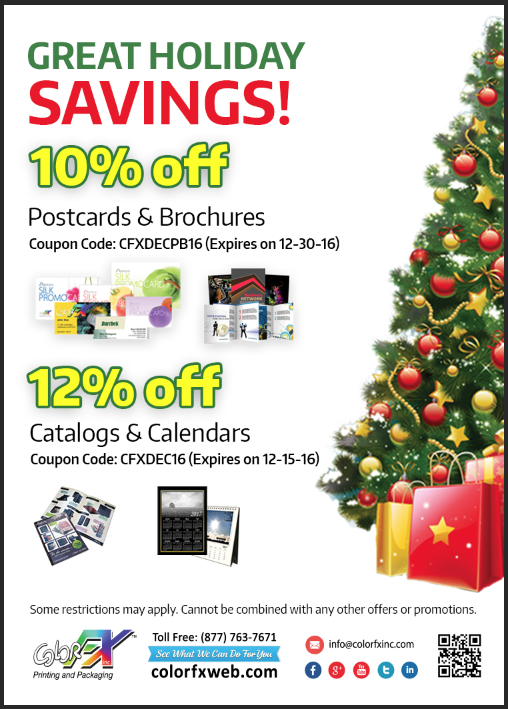 Also save 12% on catalogs & calendars. 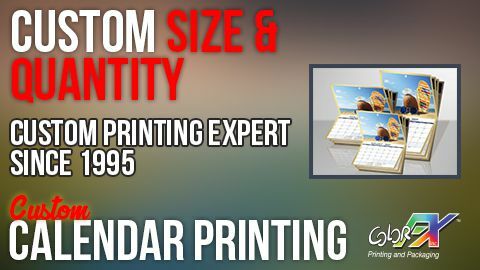 Coupon Code: 12% off on catalogs & calendars CFXDEC16 (Expires 12-15-16). With 2017 quickly approaching, the season of trying to figure out the perfect New Year’s Resolution is upon us. One popular goal that people make for themselves is to get organized. The big key to becoming a more organized person is to have the right set of tools in front of you. For individuals who find that their lives feel scattered and all over the place, one organization tool that is absolutely essential is the calendar.